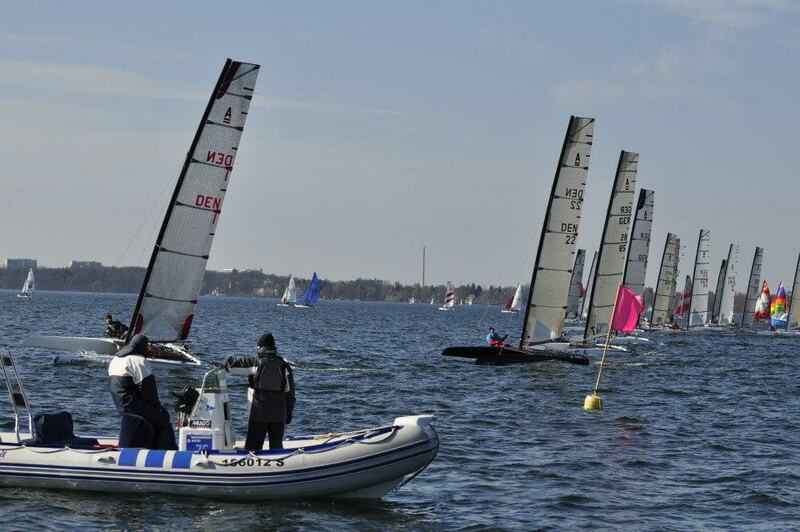 "The start-up of the season for the Baltic A-Class community took place on Schweriner See, a reasonbly sized beautiful lake, 30 km south of Wismar and a traditional hot spot for racing sailors of many classes. 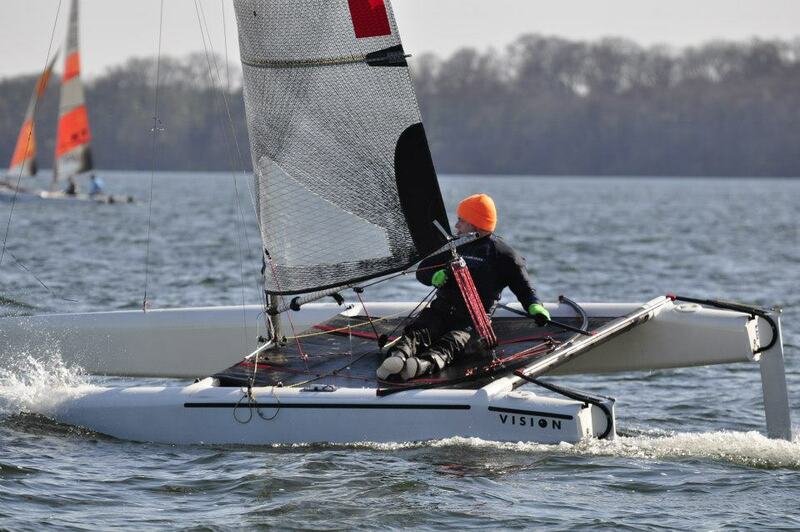 However, the The A-class joined this Regatta for the first time after several years of absence, and a surprising number of 19 competitors from Poland, Denmark and Germany showed up. Conditions were light and shifty with occasional thermical gusts. 3+3 quite long races have been completed. 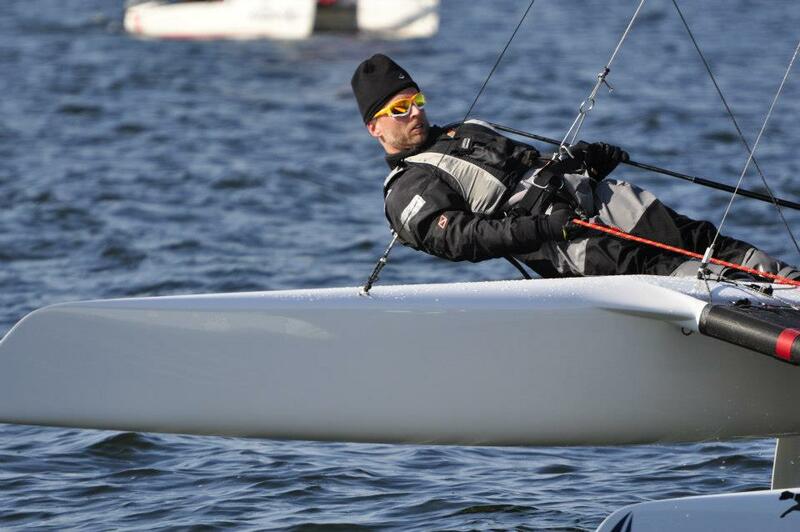 Thomas Paasch showed a convincing and consistent performance with 1-1-1-1-2-2, followed by Guido Schulte second and Jörgen Hansen in third place. However, behind Thomas, racing was pretty tight and and down to place 7 with Jörg, Donald, Steffen and Lars, all had very good chances of taking podium results. 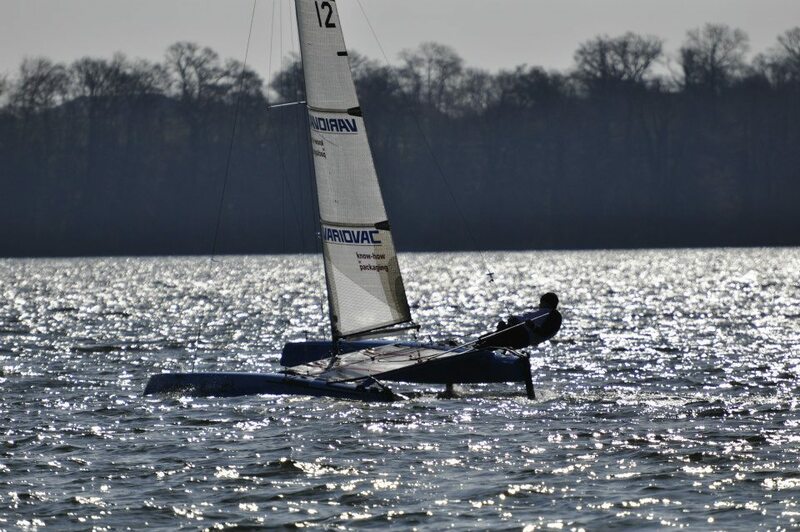 and we will certainly come back next year, hopefully with warmer temperatures..."
Nice to have active sailors like Thomas, who is current webmaster & responsible for the new website of the IACA, contributing for their class.